The Megaformer studio is coming to Rittenhouse. By Adjua Fisher·	 11/14/2016, 12:40 p.m.
We’ve got some exciting news, folks: SLT, the cult-followed New York-based Megaformer studio — one of the OGs in the Megaformer business, around since 2011 — is slated to open their very first Philly studio, in Rittenhouse, this spring. Who else can feel their abs wincing already? When it comes to settling in Philly for the first time, Freeman says, “There are opportunities and clients who’ve been requesting for us to come there. 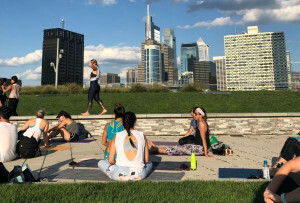 We love that the clientele lives and works around that location.” If the studio is a success, the idea is spread around Philly and into the ‘burbs. 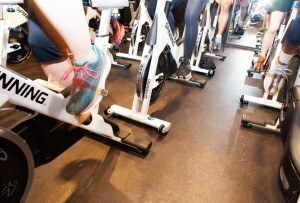 Now, let’s get to pricing: As we all know, Megaformer workouts are not cheap. That said, SLT’s Philly classes will be less expensive than their New York classes, which ring in at $40 a pop; a single class in Philly will cost you $32. The studio is slated to open in Rittenhouse in March or April of 2017 — so your abs can let out a sigh of relief. They’ve got some time to prepare.